Season 4 should return to a more fun-loving, procedural scope. Fans of Adult Swim’s animated mega-hit Rick and Morty probably won’t have to wait another two years for a new season, but if Mr. Poopybutthole has anything to say about it, it’ll still be “a really long time.” Ooo weee, this might be a grueling wait. After Rick and Morty Season 2 ended on October 4, 2015, fans had to wait a year and a half until Season 3, Episode 1 premiered as a surprise on April 1. By the time the rest of the season kicked off in late July, fans had twiddled their thumbs (and yelled online) for almost two full years between seasons. When the show finally did return, it delivered on the “darkest year” of Rick and Morty’s adventures yet with more violence and mature themes than ever before. But because the Season 3 finale offered something of a soft reboot that left dangling serialized plot threads blowing in the wind, Season 4 will presumably restore a more balanced, easy-going status quo for future adventures. Let’s just hope it doesn’t take that long before Rick and Morty Season 4 kicks off again. 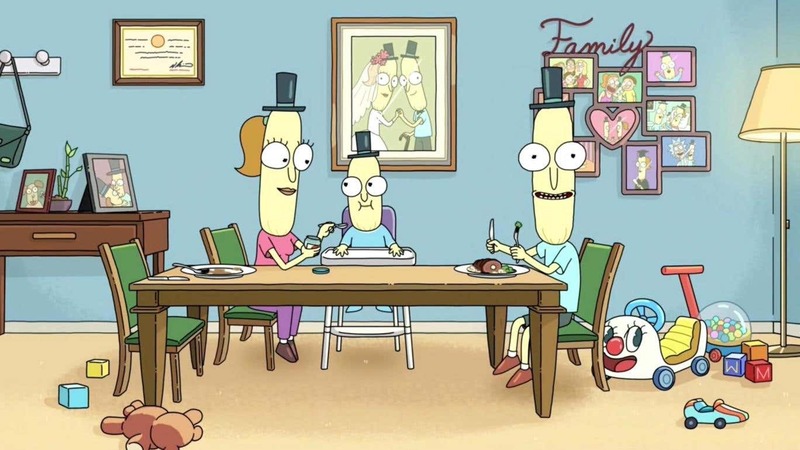 The Season 3 outro brought back Mr. Poopybutthole for a Season 4 tease. If Harmon and co-creator Justin Roiland — along with their crack team of writers — can maintain productivity, then we might see more episodes within a year. Season 2 and 3 aired mostly during the summer months with their respective season finales premiering in October. The best we can hope for is a summer 2018 Season 4 premiere, unless Adult Swim is forced to revert to the same airing schedule as Season 1, which ran from December 2013 until April 2014. But this is entirely just hopeful speculation. For all we know, we could be looking at another two-year gap. Is this Beth actually a clone of the real Beth? Is Beth a Clone of Herself? The Season 3 finale, “The Rickchurian Mortydate,” went all-in on the popular theory that Beth took Rick’s offer in “The ABC’s of Beth” and ditched her normal life to explore the universe while a Rick-made clone replaced her role as a mother. Beth was afraid that she was the clone, and that Rick would kill her if she realized this. One glaring plot thread left dangling in Season 3 was the rise of Phoenixperson. After dying in the Season 2 finale at his own wedding, Birdperson underwent some robotic surgeries and other enhancements to become Phoenixperson, a cyborg seemingly controlled by his psychotic fiancée-revealed-to-be-villain, Tammy. With the Galactic Federation destroyed, it’s hard to know where Tammy and Phoenixperson’s allegiances lie. Will Phoenixperson and Tammy return in Season 4? We hope so. When Will Evil Morty Return? Now, more than ever, a lot of fans have strong theories about the nature of Evil Morty, a Morty who debuted back in Season 1 and returned towards the end of Season 3 to take complete control of the Citadel. His motives and origins are uncertain, but a lot of people think Evil Morty is Rick C-137’s original Morty. 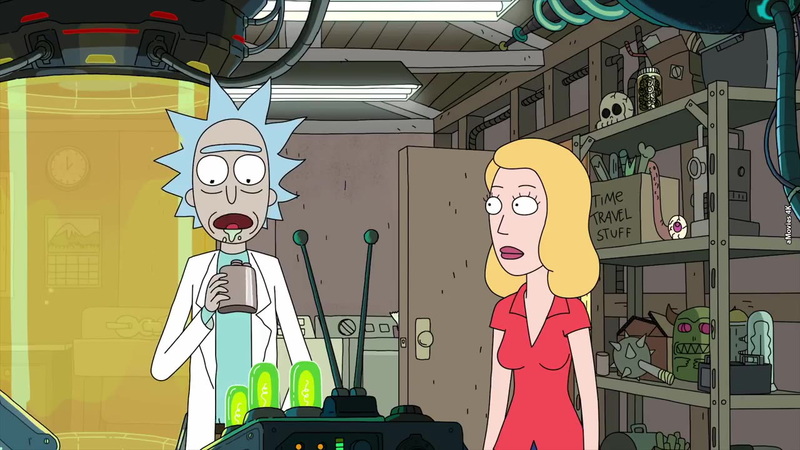 When Morty asks Rick about the Citadel at the end of “The Ricklantix Mixup,” Rick boldly claims, “That place will never have any bearing over our lives ever again.” It’s hard to not sense a bit of foreboding with that. Evil Morty didn’t reappear in the last few episodes of the season, but he’s bound to return at some point in the near future. Rick and Morty Season 4 has no confirmed premiere date.